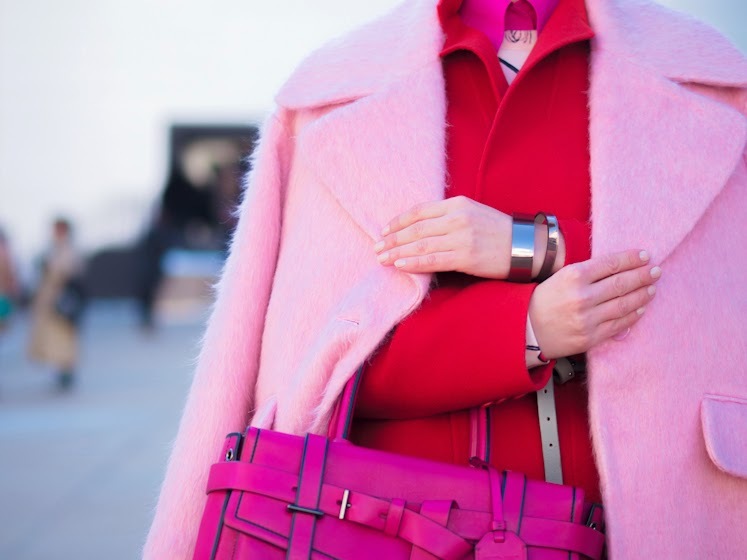 On day 6 at NYFW I was definitely wearing the brightest and boldest look of the entire week. When I put together this outfit, I can assure you I didn't have in mind "valentine's day"chromatic inspiration. I wanted to wear this combination for a while now and I also wanted to stay warm as this season had the most incredible cold winter in years... So you can notice that I'm wearing lots of layers. Definitely the biggest challenge at this Fashion Week was the battle between staying warm and the look that I wanted to wear. This look is amazing! I love the color pairing. Its bold and super chic. You did a wonderful at pairing the right shades & colours! Nailed it! Absolutely gorgeous! I love the entire outfit! You always look incredible! 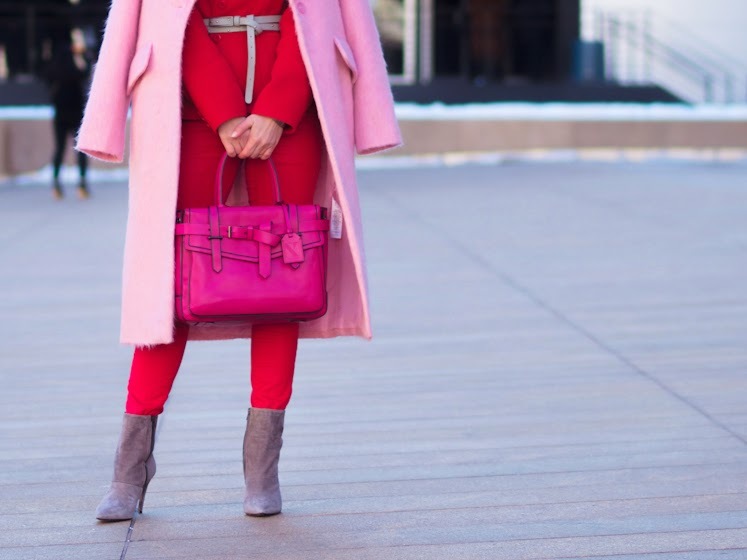 Love your bag and coat! Such a bright look, the coat is awesome, very trendy. Lovely look and the colors are just great!! Such a fun look! Loving the pink/red combo! Great pants! Oh wow. Now that is how you do bold. The colours work together and that hand bag is lush. Pink and red are great together! love this! especially the cat eyes!